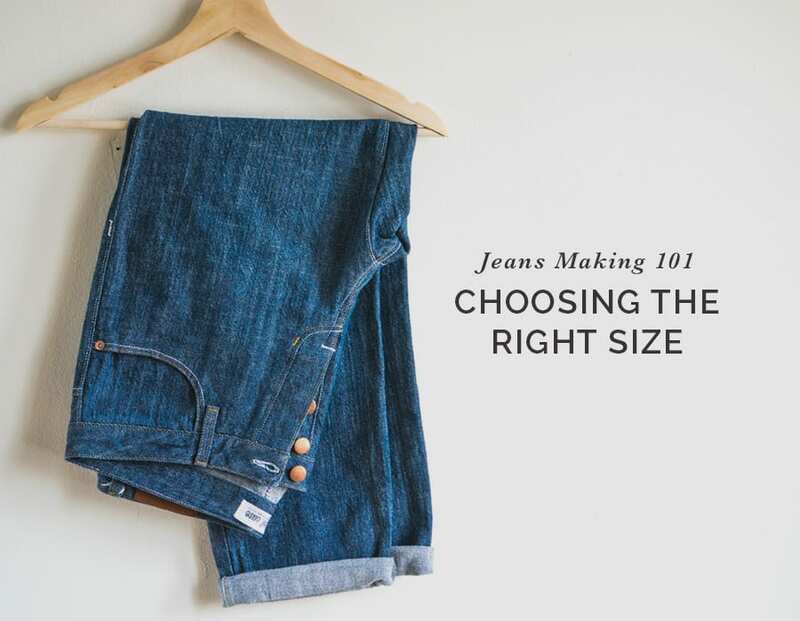 Hands down one of the biggest questions we get day in and day out is what size people should choose when they’re making jeans for the first time. Since it feels like an important project, people really want to get it right. 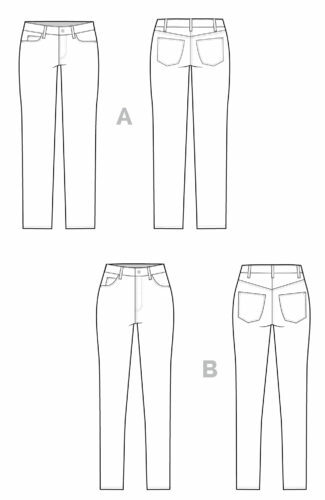 In this post I’m hoping I can help explain choosing your size with a little more clarity for our jeans patterns. 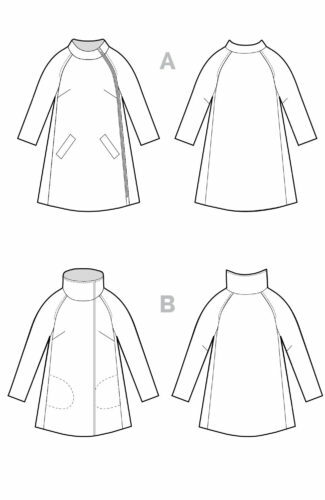 With all our patterns, we provide a size chart and a finished measurement chart. 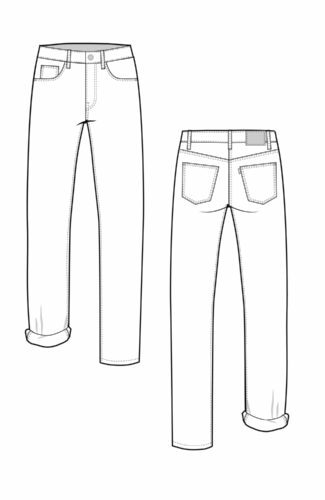 The finished measurement chart generally shows waist, hip, rise and inseam measurements for the final jeans. 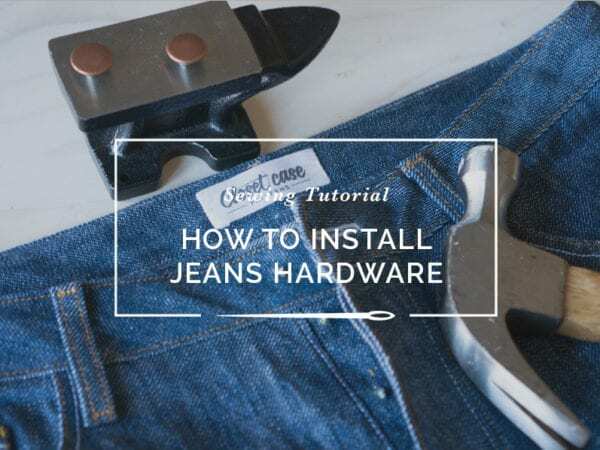 It will give you an indication of the ease of your jeans, and should provide a basic reference if you’d like to compare against other pairs in your wardrobe. 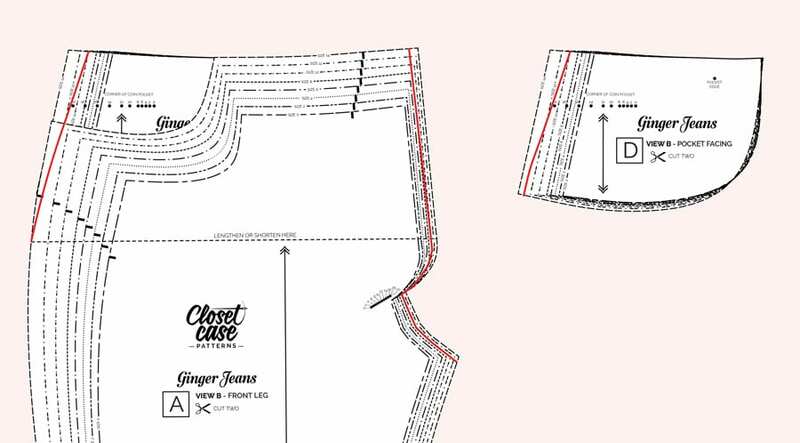 Our Ginger Jeans have negative ease since they’re designed for stretch denim; this means they should fit a little bit smaller than your body measurements, in particular, the thighs and hips. 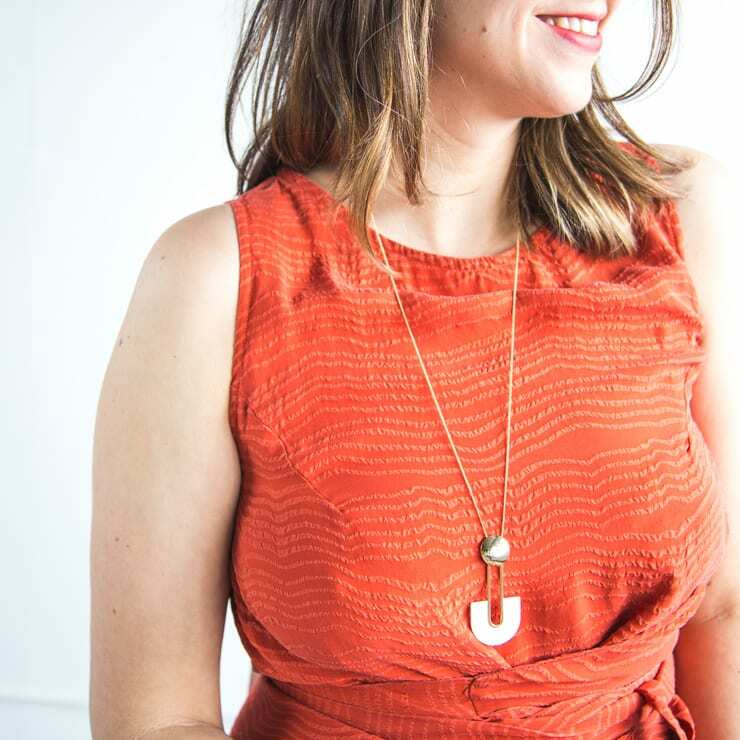 You can expect the hip to be about 1″ smaller than your actual hip size; this ensures they fit snugly as they are meant to. However, the waistband has zero ease. This means it sits exactly close to your body; negative ease here would be uncomfortable, and extra ease would mean your jeans don’t stay on. 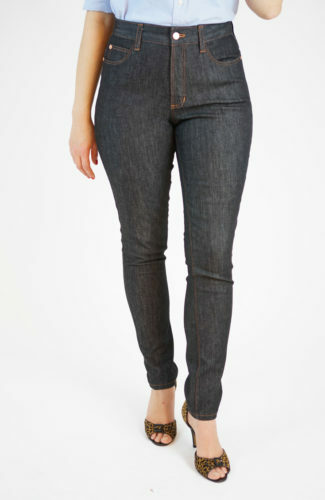 In the case of our Morgan Boyfriend Jeans, the hips have positive ease of about 1″ through the hip, although they have zero ease through the waistband for the same reason as Ginger; they wouldn’t stay put on your body if they were looser, and 100% cotton denim relaxes naturally over the course of the day should you need a little extra room. Where people seem to get tripped up is the finished measurement of the waist of Ginger and Morgan, because it is larger than the waist size in our size chart. 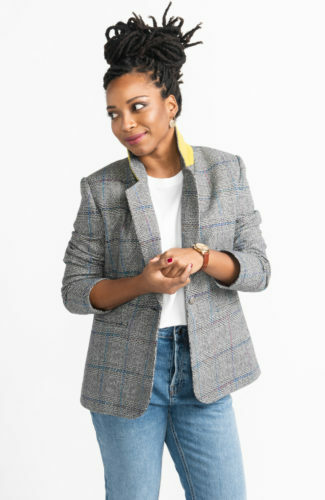 This is because in both the low, mid and high rises, the waistband sits anywhere from one to five inches below your natural waist, or the smallest part of your waist. If it’s sitting a few inches below your natural waist, naturally it will be wider since your body here is wider. This number is really just provided for reference so don’t let it confuse you. 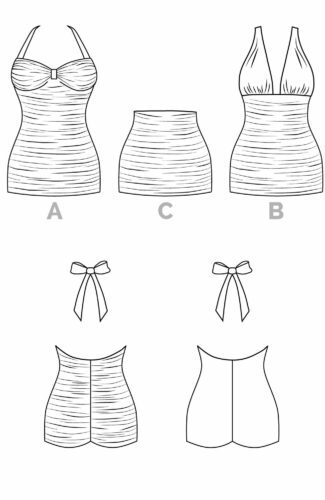 In all cases, choose a size based on your actual waist measurement from our size chart. 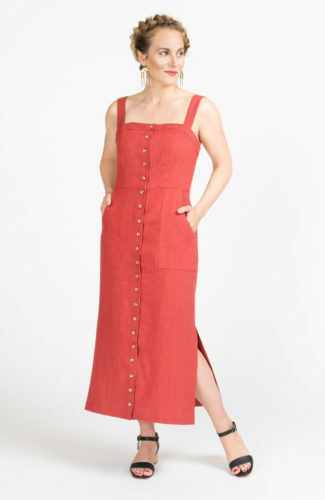 If the waist needs to be modified at all, you can resolve that during the preliminary fitting. 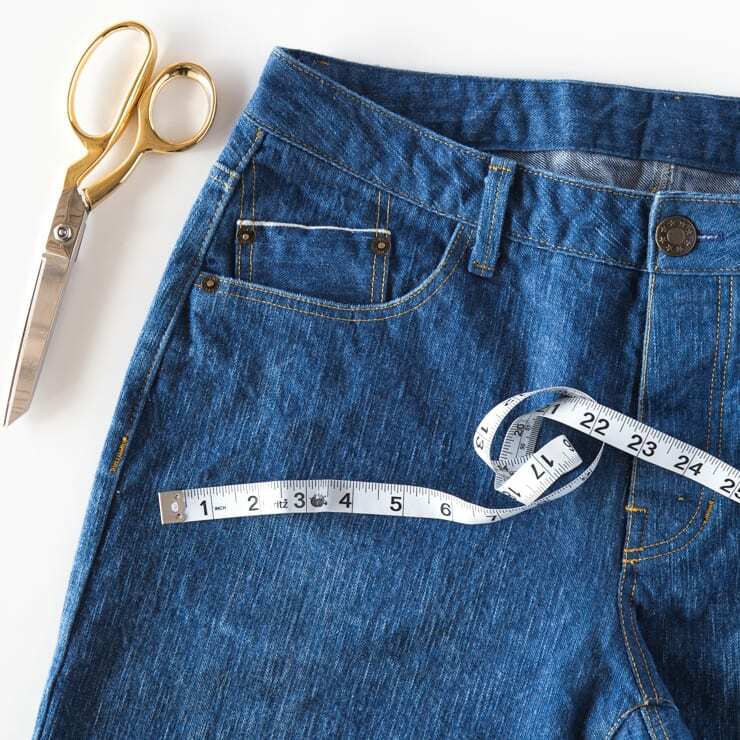 If you have a well loved pair of jeans that fit you well, you may want to use them as a reference to determine the sort of fit you would like in your me-made jeans. However, if you are using stretch jeans as a reference you really need to pay attention o the fiber content. If there is more lycra in your jeans than what we suggest for the pattern (ie. a super stretchy jegging with 4-6% lycra) the rtw jeans will likely be smaller. 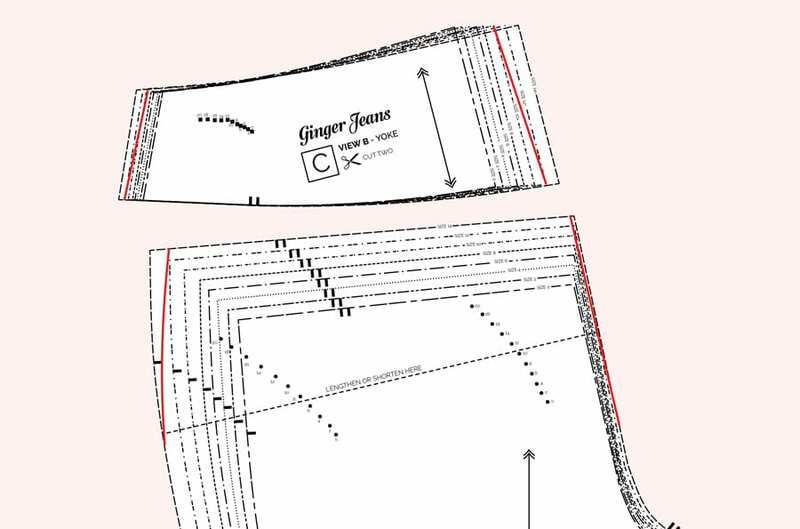 You can measure directly on the pattern by lining up your jeans on the pattern pieces. This way you can be sure you’re taking measurements from the same area and therefore getting similar numbers to compare. 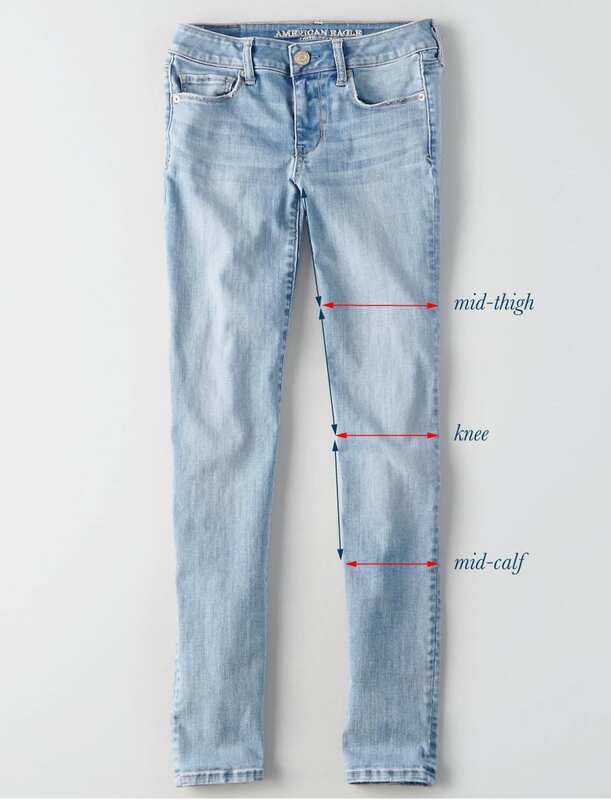 In the instructions for our Morgan Jeans, we provide finished calf and thigh measurements in addition to waist and hip. 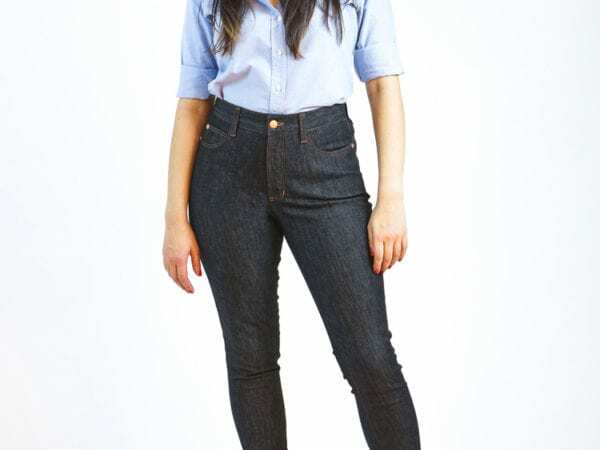 Since these jeans are meant to have a little ease through the legs, we included that if people decided they wanted a looser fit than the pattern was drafted for, and could, therefore, grade through the legs accordingly. For Ginger, I intentionally left those out since I think it can be confusing due to the negative ease in the pattern. Sometimes more information is not actually helpful. 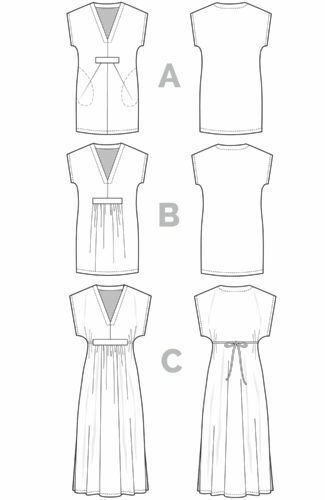 My general advice is to choose a size based on hip and waist, grade if necessary between sizes for those two measurements, and then deal with the legs during fitting. It’s super easy to let out or take in the legs as needed to get the fit you want during the basting phase. 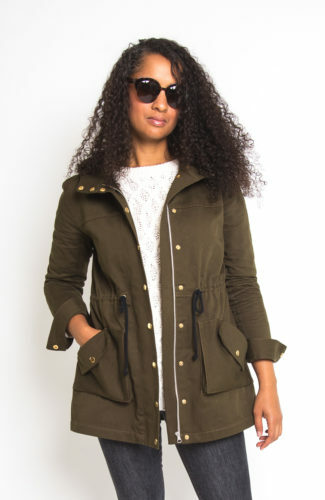 This ensures you get the fit that works for you, rather than basing it on a size chart. However, for those of you fit nerds who really like to analyze all this stuff, I am providing the thigh and calf measurements below. If this is confusing or not appealing to you, please don’t bother comparing to existing jeans; just make your suggested size and fit accordingly. Please remember that Ginger is drafted with negative ease; don’t be surprised if some of these measurements are smaller than your physical measurements. Again, if the size chart above is tripping you up, just ignore it and choose a size based on waist and hip. It seems like grading between sizes is a little intimidating for a lot of you. I highly recommend taking the time to do this if your hip and waist fall under different sizes (which let’s be honest, maybe most of you!) 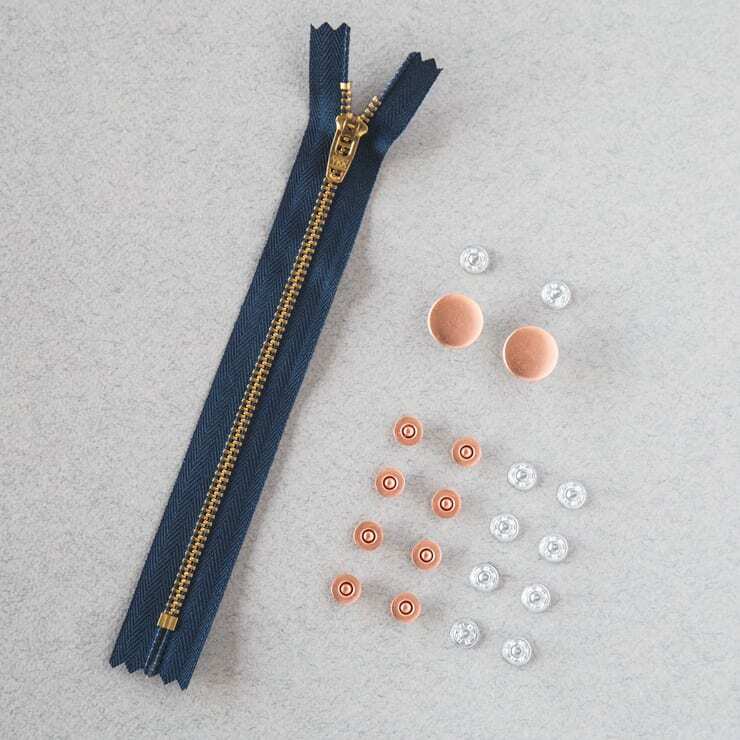 This ensures a better fit out of the package and will save you from making too many drastic changes when you’re fitting. 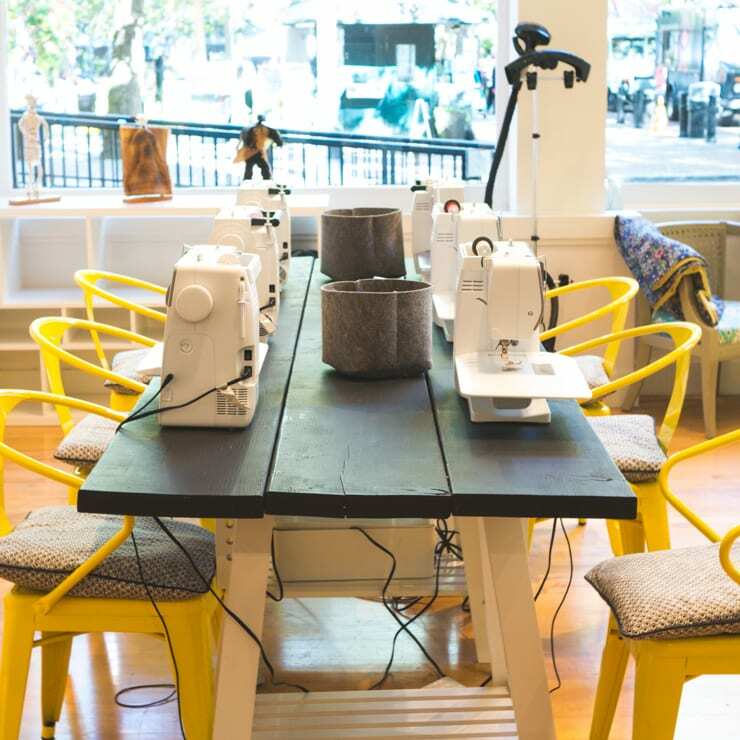 Remember any changes you make while fitting have to be transferred back to your pattern pieces at some point, so save yourself that step and just do it now. 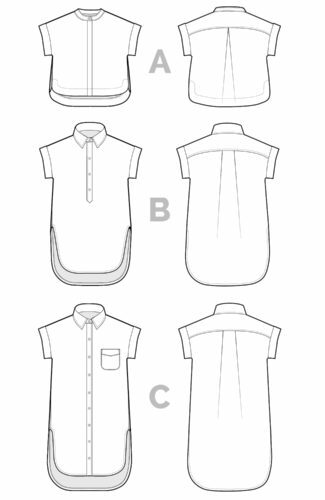 Pieces affected by grading are front leg, front facing, pockets, back leg and yoke. 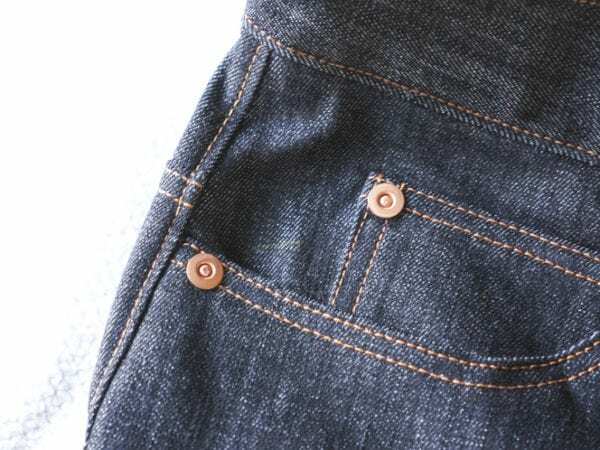 To grade the front, line up the pocket facing with the front of your leg along the larger size you’re grading between. 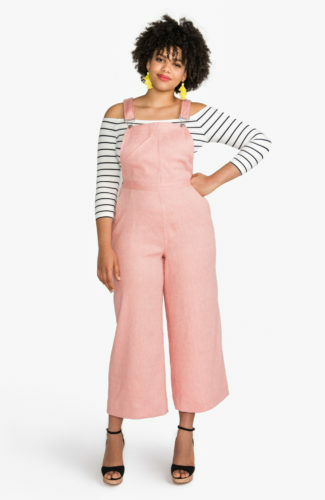 Now that you have filled in the top of the waist curve, you can draw a line connecting your sizes. In the below example, I am grading from a size 10 at the waist to a size 14 at the hip. Everything to the left of that red line on the side seam will be cut off. Make sure you transfer that line along the length of the facing too. 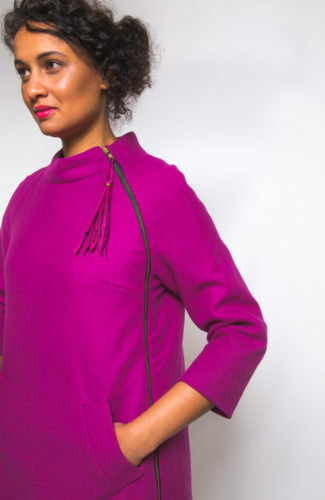 I am not showing the pocket pieces here, but just note that whatever you remove from the side seam needs to be adjusted on those pieces as well so everything lines up. 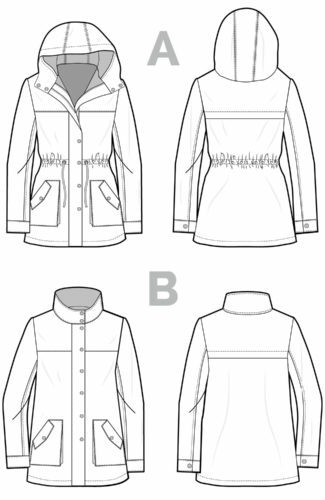 Along center front, you can trace down along the size 10 line, and then out to the size 14 at the inseam. This isn’t a precise science so don’t stress too much about this area; remember you will be basting later so if you need to let out or take in a little bit you can do that then. 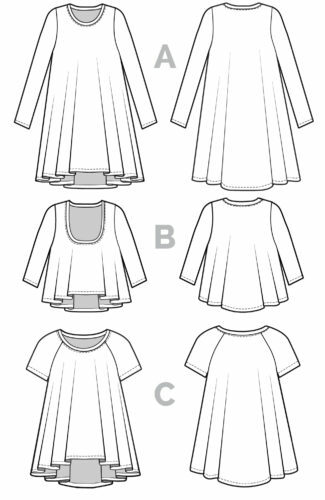 Please note that by lining everything up along the larger size at the waist, you are not grading the rise/height as well (because patterns are graded vertically as well as horizontally). In this case the difference is only about 1/2″ in rise and honestly I just don’t think it’s worth the trouble since you’ll have to grade out the height in the back as well. If you do want to lower the rise, align your facing along the smallest size at the waist and grade from there. For the back, it’s a little harder to line up the yoke and leg since the yoke is curved. What I find easier to do is to do some of the grading on the yoke and some on the leg. If I’m grading between a 10 and 14, on the yoke I will grade from a 10 at the top to 12 at the bottom. Then on the back leg, I will grade from the 12 to 14 at the hip. 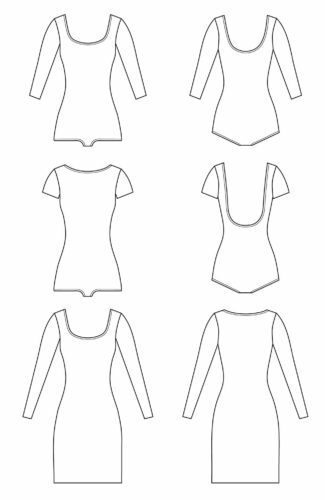 This is the easy cheater’s way to do this; you can also trace out all your pieces, draw in your seam allowances and overlap the pieces along the side and then back crotch seam to draw a nice smooth, even curve, but it takes a little longer. And that’s it! It really takes just a few minutes. 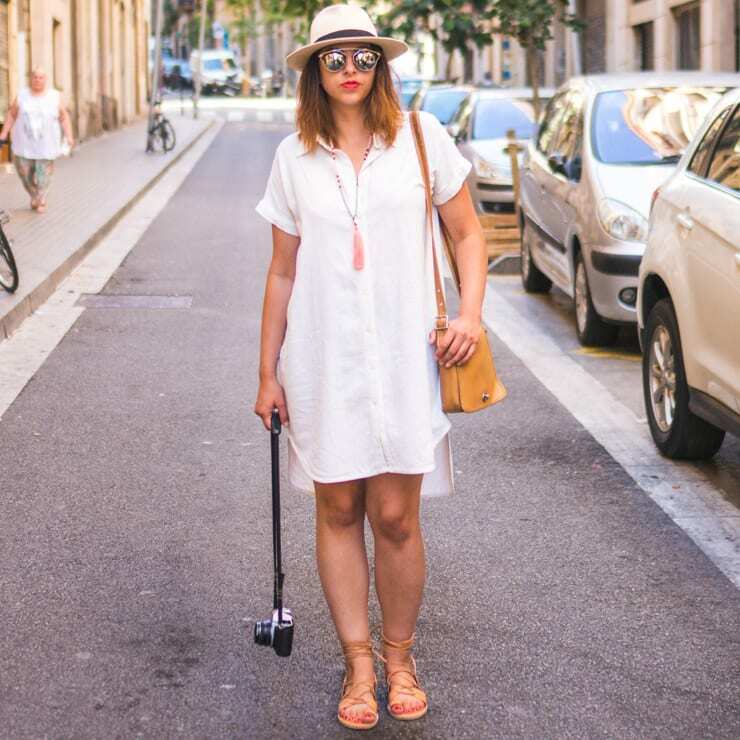 If you’re only within 2 sizes, it’s probably okay to just make a straight size. For example, if you’re a size 6 waist and a size 8 hip, if you make a size 8 you can just take in the waist as needed during basting. Just remember to mark your changes to your pattern pieces so you don’t have to do this again next time around. I hope this clarifies picking a size! Let me know if anything is unclear or if you have any questions I didn’t cover here.